For those of you who still haven’t had a chance to read, Something New, I figured I’d give you a little excerpt of what you’re missing! NOTE: Something New has been on the top 100 best-selling ebooks on Amazon’s -multi-cultural list for the past three months! Entrepreneur, Simone Edwards, did what any intelligent woman with a ticking biological clock would do: she asked her longtime boyfriend to marry her. Devastated when he turns her down, and fed up with dead-end relationships, Simone swears off men … and takes a vow of celibacy. How hard could it be? She soon learns it’s harder than she thinks when the most irresistible man in the world, Tim Hollister, shows up at her job. She hasn’t seen him in over ten years, and quickly realizes he is a temptation she doesn’t want to resist. But isn’t there some rule about dating your friend? Simone must decide if a romance with Tim is worth risking their friendship, and her reclaimed virginity. Tim Hollister has placed a padlock on his heart. But when Simone, an old high school friend, falls back into his life, he soon forgets his promise to stay clear of beautiful women. Simone was always like a sister to him, but he discovers that his feelings for her aren’t very brotherly. He’s captivated by the woman she’s become and is on a mission to take their friendship to the next level, and prove that he’s the man for her. Excerpt – This is part of a scene where Tim finally let’s Simone know that he’s interested in taking their friendship to the next level. Simone smiled at her friend, knowing she was fishing for information. “He’s not scheduled to be back here until the day after tomorrow. I still have a little more information to put into QuickBooks before he returns for my next lesson.” Her mind burned with memories of them standing on her front porch, kissing. The more she tried to ignore the thoughts, the more they persisted. It had been over a week since she’d last seen or heard from Tim, and she missed him. “Are you going to share what’s been going on with you two, or do you plan to keep it to yourself?” Jess asked and moved to sit in one of the upholstered chairs near the desk. Two light taps against her closed office door stopped her explanation. “Come in,” Simone called out. Nothing could’ve prepared her for the tall, devastatingly handsome body that stood in the doorway. Her heart jolted at the sight of Tim. He walked into her office, and her eyes traveled from those inviting lips to his broad shoulders covered by an expensive-looking double-breasted suit. She stood slowly, gripping the edge of her desk while her pulse pounded in her ears. She hadn’t seen him in a suit since he first showed up at the school, and he looked hot. “Hey,” he said, his voice like silk against her skin. Had she imagined it, or was that a smoldering flame she saw in the depths of his eyes? Once the door was closed, Simone gave her attention to the man standing before her. He walked around the desk, grasped her hand, and pulled her body tightly to his. Before Simone could say anything, his mouth covered hers in a sweet, delicious kiss that caused her to mold into him. Moments later, he raised his mouth from hers and gazed into her eyes. She groaned inwardly, preferring a kiss over talking, as he led her to the cozy sitting area on the left side of her desk. She sat on the sofa, while he unbuttoned his suit jacket before sitting next to her. He smiled for the first time since entering her office, and her heart leaped into her throat. The fact that he could turn her on with just a smile let her know that she was losing her heart to this man. Simone sat speechless, fighting to control the nervous flutters in the pit of her stomach. She ran her sweaty palms over the thighs of her pants and stared at the floor. Yesterday, she had made up her mind that she would keep her relationship with Tim at a friendship level, nothing more. But now, with the way he was looking at her, and the way he made her pulse quicken with just his presence, she wasn’t so sure. Simone shook her head, though loving his words. “I don’t want to lose you,” she whispered. Before she could say anything, she heard a series of beeps and looked around to see where the sound was coming from. “Oh, okay.” Simone made a move to stand, and he helped her up. With one arm around her waist holding her close, he caressed her cheek with his free hand, his face inches from hers. His mouth came down over hers, and within seconds, a wave of pleasure crashed through her body, sending her desire from one to ten within a heartbeat. His lips devoured hers, coaxing her without words to agree to dating him, and at the moment, she wanted to scream to the world: Yes! He lifted his head, and his dark, assessing eyes stared into hers. “I’m looking forward to being more than your friend.” And with that, he buttoned his jacket and walked out of her office. Tim shook his head as he slid behind the wheel of his car minutes after leaving Simone’s office. Never had his feelings been so intense for a woman like they were for Simone. Was he nervous about taking their friendship to the next level? Yes. Could he picture his life without her if things didn’t work out between them? No. Was that going to stop him from pursuing her until she was all his? Hell no. He groaned out loud and closed his eyes, his head falling back against the headrest. His fixation regarding her was scaring the hell out of him. He thought about her constantly, even in his dreams. And no way was this lust he was feeling. He had no doubt that he was in love with Simone Edwards. For those of you who still haven’t had a chance to read, Something New, I figured I’d give you a little excerpt of what you’re missing! Excerpt – This is part of a scene where Tim shows up at Simone’s company, as a consultant who her business partner wants to hire. Going in, Tim doesn’t know that Simone is part owner of the business, but when he sees her (after ten years) he suggests they get reaquainted. Simone’s not sure that’s a good idea. Simone had told Jessica no men. So why was she sitting across from Tim, who was all man? “What do you mean maybe?” Jessica questioned. Oh crap, did I say that out loud? “I meant, though I think Tim would be easy to work with, we should discuss my needs…” She closed her eyes and shook her head. “I mean we should discuss our organization’s needs and how he can help us. And of course, we’ll have to interview other candidates.” Simone felt her face heat at her faux pas and didn’t miss the amused look on her partner’s face. She didn’t dare look at Tim. “Okay, well, let’s talk about our needs, and Tim, you can let us know if you can help us,” Jessica said. Simone couldn’t believe how flustered she felt being near Tim. But who could blame her? She was acutely conscious of how his wide chest and muscular arms filled his tailored black suit jacket. Relaxed and confident, he discussed with Jessica how his consulting company could assist them. Simone’s breathing quickened when he glanced at her and smiled, causing her eyes to zone in on those chiseled cheekbones that graced his ruggedly handsome face. She groaned within and rubbed her forehead, realizing small pebbles of sweat had formed at her hairline. What is wrong with me? It’s not like I’ve never seen a good-looking man before. I must be coming down with a cold or something. Simone put her elbow on the table and rested her chin in her hand. She listened as the two continued to talk back and forth. It wasn’t necessary for her to add her two cents since Jess seemed to be doing fine explaining their needs. Tim listened carefully, mentally cataloging all that was said. He was like that in high school as well. As good friends, they had studied together on occasion and even hung out some weekends. What she remembered most—his kindness, and that he was a great listener. Until now, she hadn’t realized how much she missed his friendship. Her gaze remained on him. She couldn’t get over how good he looked. The moment she walked into the room and saw him, her pulse had tripled, and she wouldn’t be surprised if he’d heard her heart pounding against her chest. He was sexier than she remembered, and those dark, penetrating eyes could draw in the strongest woman. He always did have women vying for his attention, and probably still did since he was even hotter than he was back then. Stop, stop, stop it. This is Tim Hollister, friend. He’s off-limits. Besides, I’m done with men. “Anything you want to add, Simone?” Jessica asked. Okay, so those of you who have read, Something New – let me hear from you! Those of you who haven’t – what are you waiting for? I feel like giving away some prizes today! 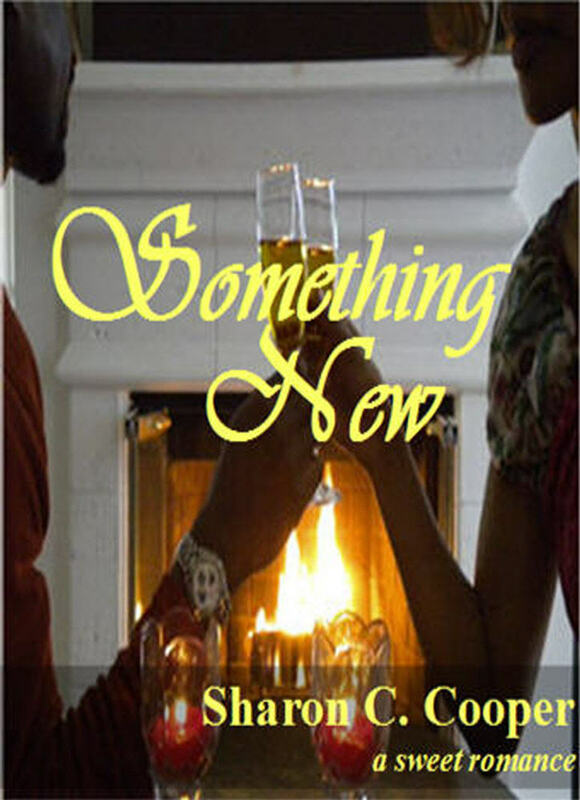 To celebrate the early release of my debut novel – Something New (Yay!! ), I’m giving all of you a chance to win an electronic copy of the novel (note: you don’t have to have an e-reader). 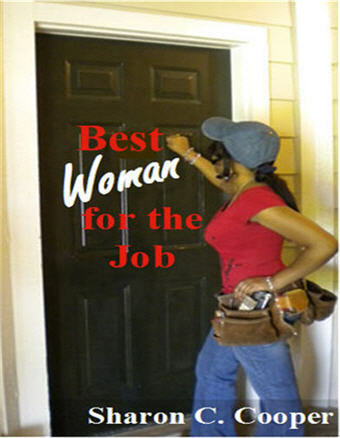 You also have a chance to win a $10 Amazon.com gift card, AND I’m giving away copies of my short story, Best Woman for the Job! Oh, and did I mention that I’m celebrating the early release of Something New? That means you can purchase it today!!!! Visit Amazon.com for your copy! 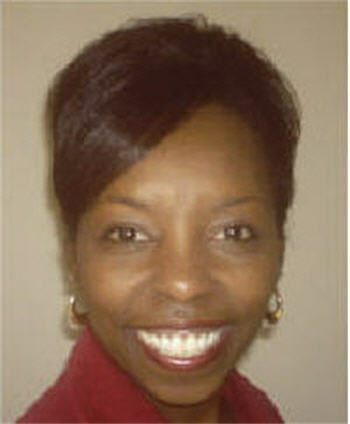 Today I’m being interviewed by fellow blogger, Chicki Brown, at her blog site http://sisterscribbler.blogspot.com/. Stop by and leave a comment or a question for a chance to win an electronic copy of Something New. For a chance to win both an electronic copy of Something New AND a $10 gift card to Amazon.com – leave a comment or a question below AND leave a comment or question for me at Chicki’s site – http://sisterscribbler.blogspot.com/. See below for an excerpt of my short story – Best Woman for the Job and find out how to download it – FREE. When Toni Jenkins (TJ) shows up at Craig’s house to repair his plumbing issues, he thinks it’s a joke, but soon finds out the joke is on him. Not only is Toni the finest plumber he’s ever seen, but she’s good at what she does. Will Craig realize before it’s too late, that not only is she the best woman for the job, but she’s also the best woman for him? Visit www.sharoncooper.net for more information. Many of you have asked, “How many more days before your book is released?” Well, ten more days and counting! I’m excited and anxious all in one. It’s like taking your child to school on the first day and hoping that everyone he comes in contact with will love him as much as you do. Okay, maybe it’s not quite the same, but you get the idea. Betrayed by his supermodel ex-girlfriend, who happens to be the mother of his child, Tim Hollister has placed a padlock on his heart. But when Simone, an old high school friend falls back into his life, he soon forgets his promise to stay clear of beautiful women. Simone was always like a sister to him, but he discovers that his feelings for her aren’t very brotherly. He’s captivated by the woman she’s become and wants to take their friendship to the next level – despite her resistance. Tim can’t avoid their new-found passion, and sets out to prove he’s the man for her. God! Can this day get any worse? Simone Edwards hobbled to a wall in Atlanta’s Hartsfield-Jackson International Airport, dodging swarms of people in the ever-crowded terminal. She didn’t have to look down to know the left heel on her favorite pair of black pumps had broken. It had already been the day from hell. No. Make that the week from hell. So why would the trip home be any different? She propped herself against the wall, pulled her suitcase close, and took off the shoe she feared was ruined. “Oh, this is just great,” she mumbled at the three-inch heel. Isn’t it enough I have to return home from the Bahamas still single? Not only had Glen Wallace turned down her marriage proposal, he’d left the island two days early to attend some stupid “emergency meeting at work.” Most men would be flattered their longtime girlfriend asked for their hand in marriage, wouldn’t they? Not him. After spending all their free time together, he suddenly couldn’t get away from her fast enough. And the insensitive jerk left her with the hotel bill! How could I have wasted all those years on him? Sadness hit her square in the chest. Of all her asinine ideas, proposing to Glen had to be the worst. Tears filled her eyes, and she blinked rapidly to keep them at bay. The last thing she wanted was to have an emotional breakdown in one of the country’s busiest airports. Spotting a bathroom a few feet away, Simone slipped on her shoe and limped toward it. She passed a custodial worker near the hand dryers, who looked as if she’d rather be someplace else, and found a quiet corner where she could go through her carry-on bag. What I wouldn’t give to be at home in my bed right now. She was at the point of being afraid to do or say anything for fear of something else going wrong. After finding another pair of shoes, she placed everything back in her suitcase and hurried out of the bathroom. She had barely made it out the door when she ran dead smack into a hard body, lost her balance, and came close to making a total fool of herself. An explosion of pain from the sudden impact shot through her shoulder, but thankfully, a large set of hands grabbed her around the waist before she hit the floor. “Besides clumsy, I’m fine.” She chuckled and rubbed her shoulder. As she adjusted her clothes and righted her suitcase, a sense of calm surrounded her. Tim had always had that effect on her back in high school, before life got complicated. They both noticed they were in the way, and Tim took her by the elbow and maneuvered them out of pedestrian traffic and into a waiting area where there weren’t as many people. Simone took that opportunity to get a better look at him. With the height of a basketball player, the brother was still fine. His smooth toffee skin and intense dark eyes were his best features, but those sensual lips accented by that smile could make a girl forget they were friends.